Limit 1 per person, may buy 2 additional as gifts. Limit 1 per visit. Valid only for option purchased. Reservation required. Includes up to 5 quarts of 5w30 or 5w20 conventional motor oil. 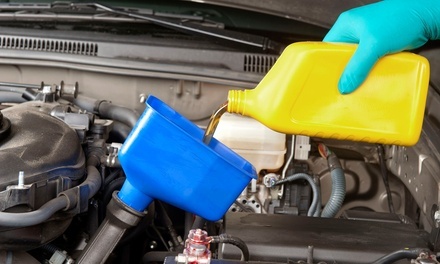 Extra $4 fee per quart of synthetic oil and canister filters for most cars.